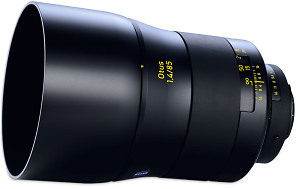 Zeiss has announced a new short tele lens for SLR cameras. Canon casts EF cinema lenses in starring role for new Cinema EOS System. Canon achieves another EOS landmark with the production of its 60 millionth EF lens. Coastal Optical Systems have announced the launch of the CoastalOpt 60mm UV-VIS-IR 1:4 Apo Macro lens.